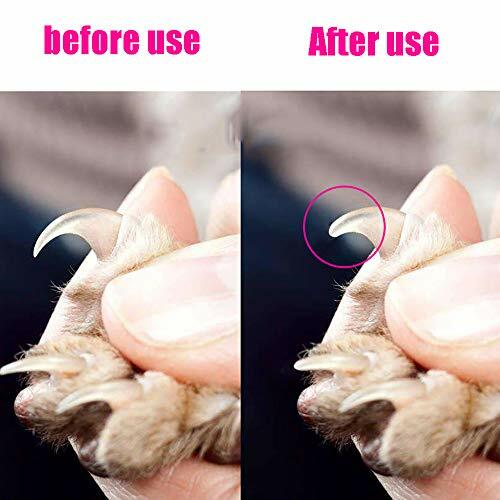 Nail is an important body part for pets, thus nail grooming, which affects the pets’ health directly, cannot be neglected. 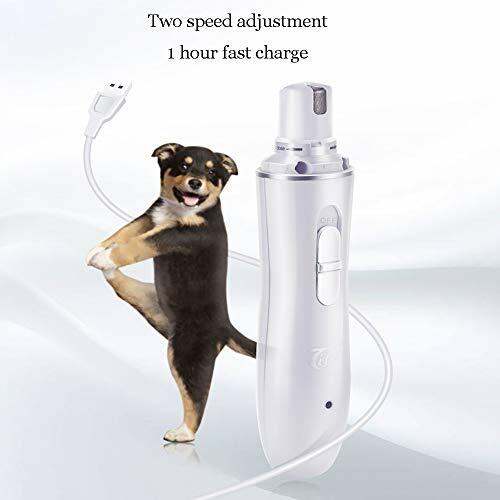 Pet nail grinder just solves the problem for its specialty and unique design, making pet nail trimming an easy thing. 1. 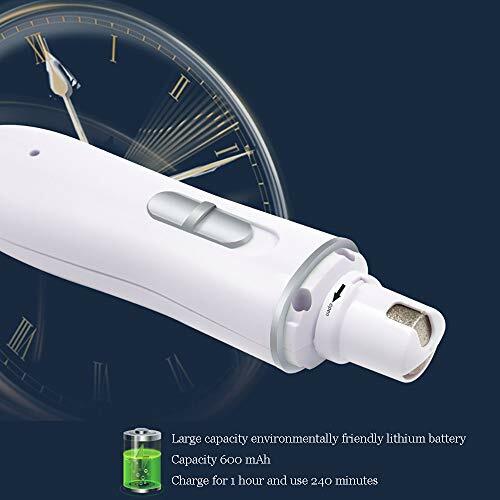 Please charge it for 4 hours when first use. 2. 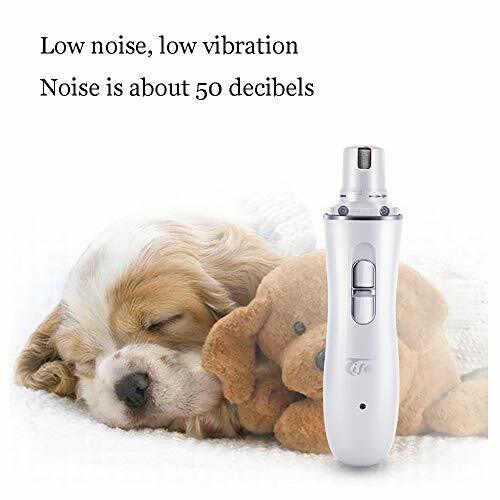 Remove the head cap, turn on the grinder and let your dog familiar with the sound and relaxed. 3. Choose the proper grinding port based on dog size, make pet’s nail gently touch the grinding stone and start grinding. 1. Do not grind pet’s nail continuously over 5 seconds per time. Give the nail some rest each 5 seconds. 2. Only grind the nail tip or the long nail part for pets if it’s the first time of use. Pets can slowly adapt to it. 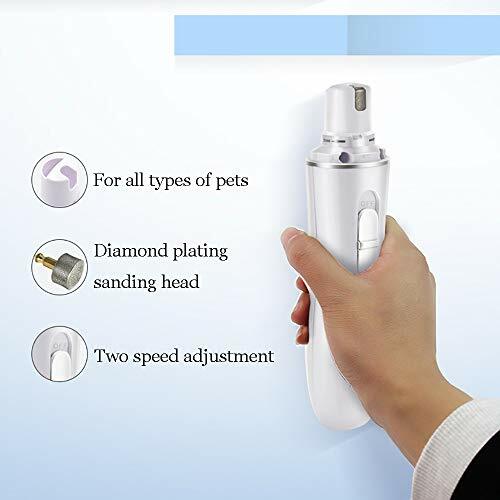 Product weight: 110g- The dog nail grinder is improved with diamond bit grinder, which is safer and more effective, no replacements needed. 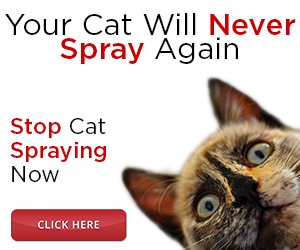 reducing the risk of clipping the claws too short or hurt your pet. 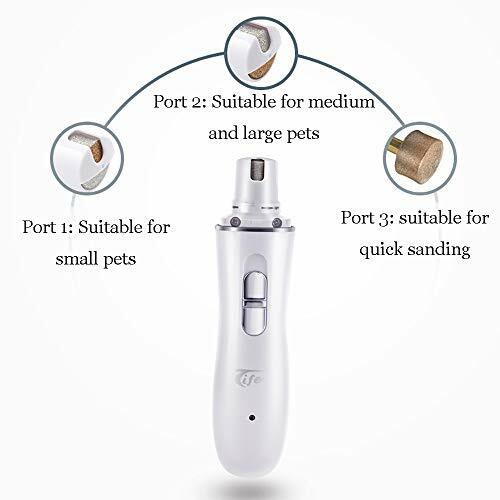 – Equipped with three ports, the trimmer is applied to small, medium, large pets with different size nails.you can choose an appropriate port and speed depending on your pet’s size and nail hardness for nails grinding. 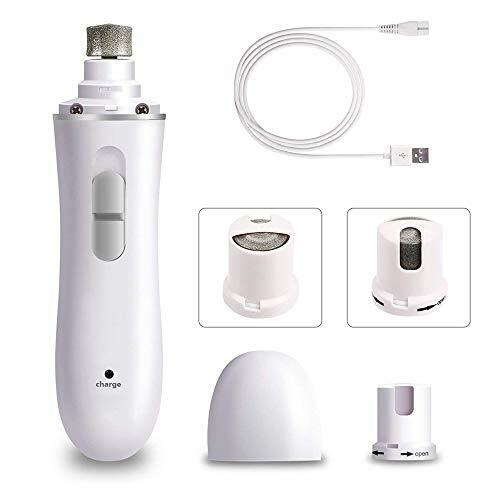 – Pet clippers for dogs with Precision motor, low vibration design, free it from work noise of low than 50db, to help the pet feel ease, making your pet no fear to trim their nails. 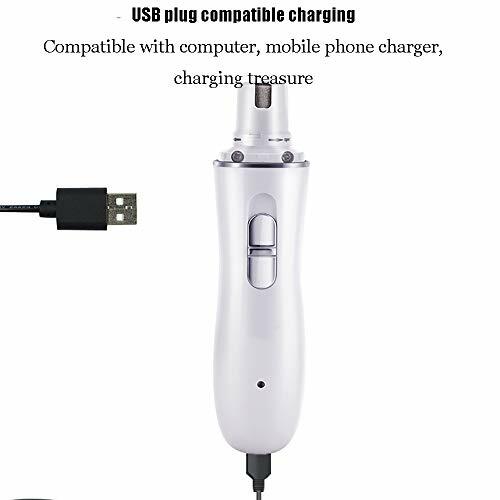 – Our Nail Grinder is rechargeable; and includes a USB wire for your convenience, The piece over the stone can be removed for easy cleaning. – Any questions, please leave your messages, we will reply within 24 hour. Thanks for coming and enjoy your shopping.